Calling all neighbors! 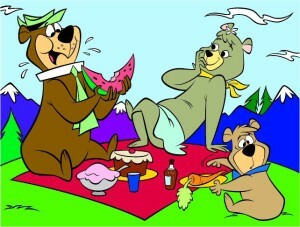 Come out and enjoy sharing time with your fellow neighbors for a good old fashioned Picnic Brunch afternoon. Bring a basket of your favorite goodies, an extra dish if you like to share a blanket or chairs and have a great time! This gathering will be our 3rd Neighbor to Neighbor Gathering and we’re hoping you all will make it the best yet! The first two gatherings were fun and each of us taught each other a little more about our neighbors and this beautiful place we all call home. We have been working on the Alamo Springs Directory and will have copies to pass around for everyone to look at and help us finalize the 1st edition prior to printing. Also Jane has prepared a wonderful questionnaire for residents to give their thoughts and feedback on the neighborhood. This should arrive at your mailbox soon. We really hope you’ll take a moment and jot down your thoughts and bring it with you, or drop them by Jane’s house on Alamo Rd, (next to the Church). Recent feedback has shown some concern that our gatherings may be some sort of step in the direction of forming a HOA or LOA – That’s the farthest thing from the truth. All we are trying to do is get to know each other so that we may be a stronger community in the long term. We hope to see you at the Picnic and wish you all bright blessings!